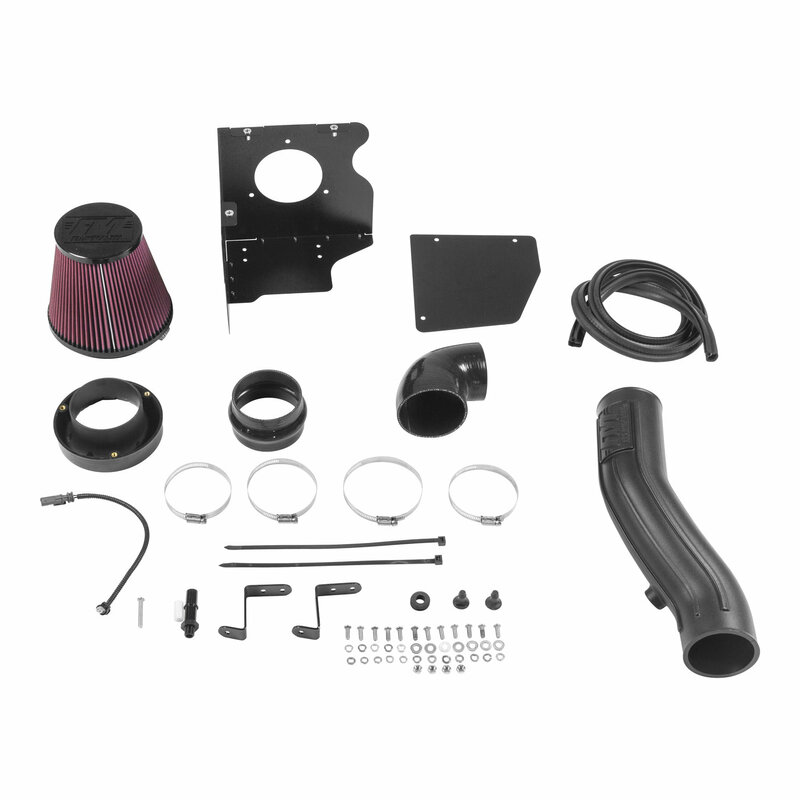 Flowmaster has taken the performance of your vehicle to the next level with the addition of Flowmaster’s new Delta Force Cold Air Intake system for 2018 Jeep Wrangler JL (2 & 4 doors) with 3.6L engines.The Delta Force system contains an ultra-trick looking, custom molded black Cross-Linked Polyethylene high-flow intake tube with aircraft quality black anodized aluminum fittings, high quality reinforced silicone couplers and all stainless steel hardware. 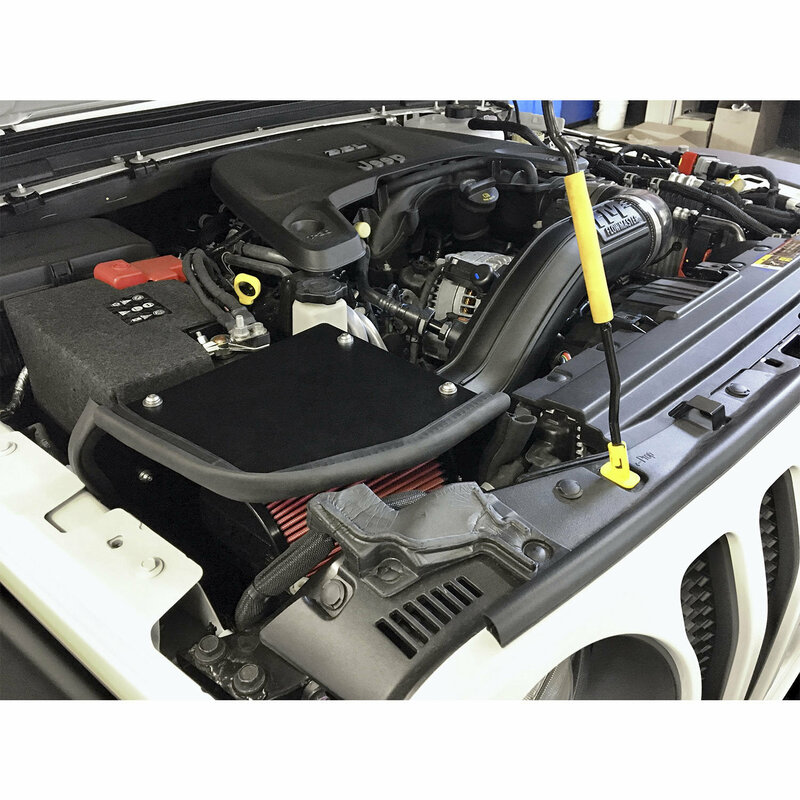 Other features include a large diameter high flow conical shaped serviceable air filter, a custom fit black powder-coated air dam with attachment brackets to securely mount the system in place and soft bumpers to eliminate any metal to metal contact under the hood. The 8-layer cotton gauze air filter ensures it will trap more dirt/dust particles than a typical 6-layer filter. Be assured that Flowmaster has delivered the next step in attaining maximum performance & efficiency for your vehicle. 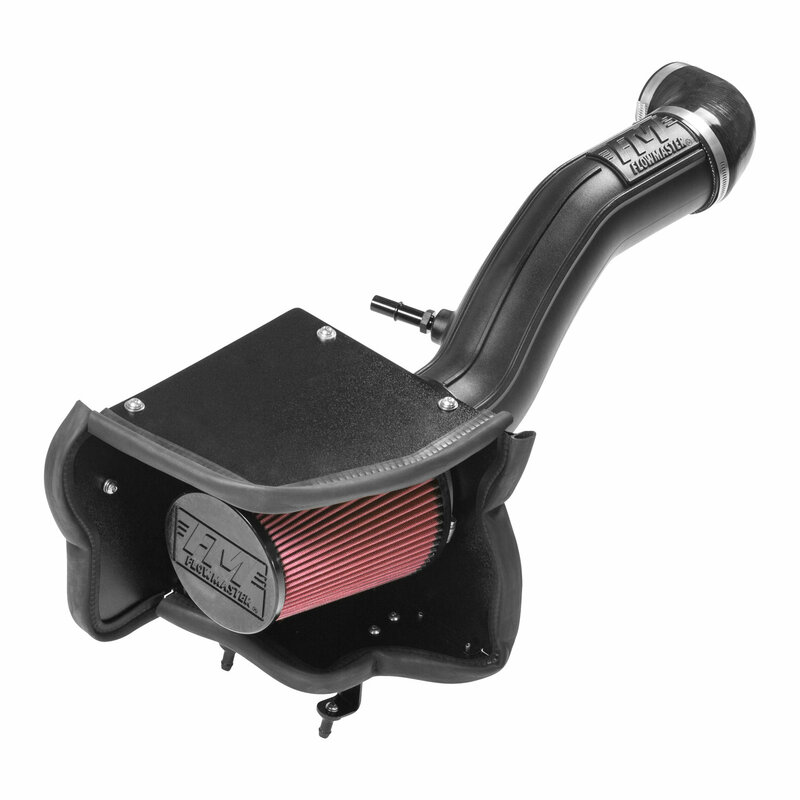 For Maximum Performance and that Iconic Flowmaster Exhaust Tone, we highly recommend pairing your new Delta Force Cold Air Intake with a Flowmaster Exhaust System. Delta Force Cold Air Intakes are NOT Legal for Use or For Sale in the State of California. Made in USA.